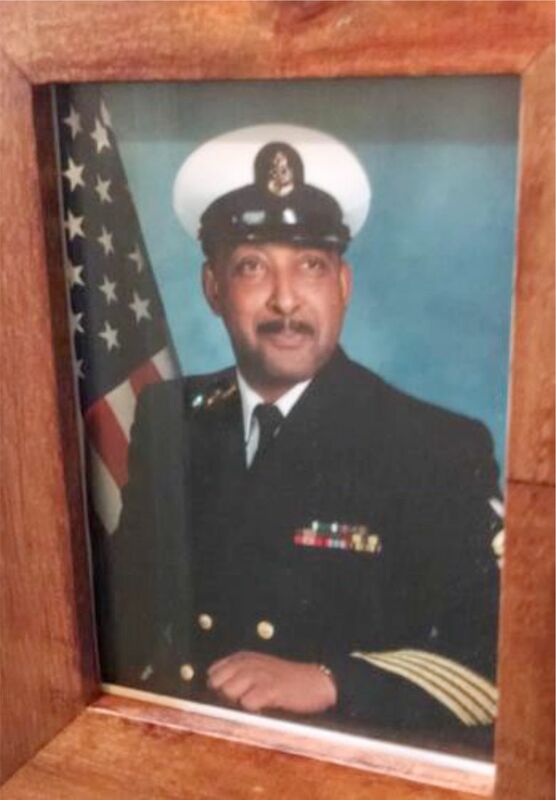 Chief Petty Officer William Piersawl, 60, of Lynnwood, died in 2013 after developing drug-resistant pneumonia tied to improperly cleaned bronchoscopes at the Seattle Veterans Affairs hospital, a lawsuit claims. A retired Navy chief petty officer treated at the Seattle Veterans Affairs hospital may have been the victim of a deadly infection tied to dirty medical scopes — and to scope-washing machines ordered recalled last week by U.S. regulators because of increased risk to patients. That’s according to an amended lawsuit awaiting approval Monday in U.S. District Court in Western Washington, which raises new questions about ongoing problems with so-called “superbug” outbreaks in Seattle and across the nation. William Piersawl, 60, of Lynn­wood, a 25-year Navy veteran, died in February 2013 of Gram-negative pneumonia, an infection resistant to most available antibiotics. Secondary causes included sepsis and lung cancer, his death certificate showed. The original complaint, filed earlier this year by Piersawl’s widow, Carolyn Piersawl, claimed that the VA Puget Sound Health Care System contributed to his death by failing to properly sterilize bronchoscopes, medical devices used to examine the lungs. During treatment from 2009 to 2012, Piersawl received at least two exams with bronchoscopes that had not been disinfected according to manufacturers’ instructions, leaving them “dirty after supposed sterilization,” potentially contaminated with bacteria that could have led to the infection that caused his death, according to the complaint. “He didn’t deserve this,” said Carolyn Piersawl. The couple, who have three children and two grandchildren, were married for 34 years. Barbara Deymonaz, 63, a registered nurse who worked as a nurse educator in the sterile processing unit at the Puget Sound VA from 2012 to 2013, said she complained multiple times to federal officials about lapses in procedure that put patients at risk. “Every rock you turned over, it was just a mess,” she said. The amended lawsuit adds that the VA in Seattle uses scope-washing machines manufactured by Custom Ultrasonics, a Pennsylvania firm ordered Friday to recall all 2,800 of its automated endoscope reprocessors, or AERs, in use nationwide. Officials with the Food and Drug Administration (FDA) cited terms of a 2007 consent decree in demanding the recall of the machines, saying the products “could result in an increased risk of infection transmission to patients.” A consent decree is a legal agreement to resolve a dispute in which there is no admission of guilt or liability. The FDA also urged hospitals and medical centers to switch to different machines to avoid infections. Custom Ultrasonics was given seven days to come up with a plan to recall the machines from about 1,000 hospitals and clinics across the nation. In an online statement, Custom Ultrasonics officials said the firm will continue to comply with FDA requests. Ndidi Mojay, a VA spokeswoman, said the agency is aware of the FDA action involving Custom Ultrasonics and will comply with it. She did not say how many of the devices were in use in VA facilities nationwide. VA officials have denied all allegations in the Piersawl lawsuit, court documents show. Mojay said the agency cannot comment on pending litigation. A 2013 investigation by the VA Office of the Inspector General didn’t find any problems that left instruments unsterile or placed patients at risk. But Piersawl’s case underscores concerns about deadly infections potentially transmitted by improperly cleaned medical scopes. Last year, an outbreak of multidrug-resistant infections tied to contaminated duodenoscopes — devices used to examine the gut — was linked to 39 patients at Seattle’s Virginia Mason Medical Center. Eighteen patients affected by the outbreak died, although the role the infections played isn’t clear. The outbreak prompted the hospital to overhaul the way it cleans and tests the devices, resulting in no further infections, a hospital spokesman said. But problems with duodenoscopes at hospitals across the nation prompted the FDA to issue new guidelines for cleaning the devices — and new warnings about potential problems with other types of scopes as well. In September, the FDA issued a safety alert for flexible bronchoscopes, which are used in about 500,000 procedures nationwide. Between January 2010 and June 2015, the agency received 109 reports concerning infections or device contamination related to the bronchoscopes. No deaths were reported. The agency emphasized that proper “reprocessing” or cleaning of such devices is crucial. “If the process is not followed meticulously, the flexible bronchoscope can remain contaminated, potentially resulting in infection transmission from one patient to the next,” the warning said. The devices have been found to harbor potentially dangerous multidrug-resistant bacteria including certain strains of E. coli, Pseudomonas, Klebsiella and Mycobacterium, an FDA spokeswoman noted. It’s not clear what specific bacteria caused Piersawl’s Gram-negative pneumonia, which was listed as his primary cause of death. No culture results were reported in his records and the scopes used to treat him weren’t cultured, either. The lawsuit is set for trial next summer, said Jessica Holman Duthie, a Tacoma lawyer who filed the complaint.